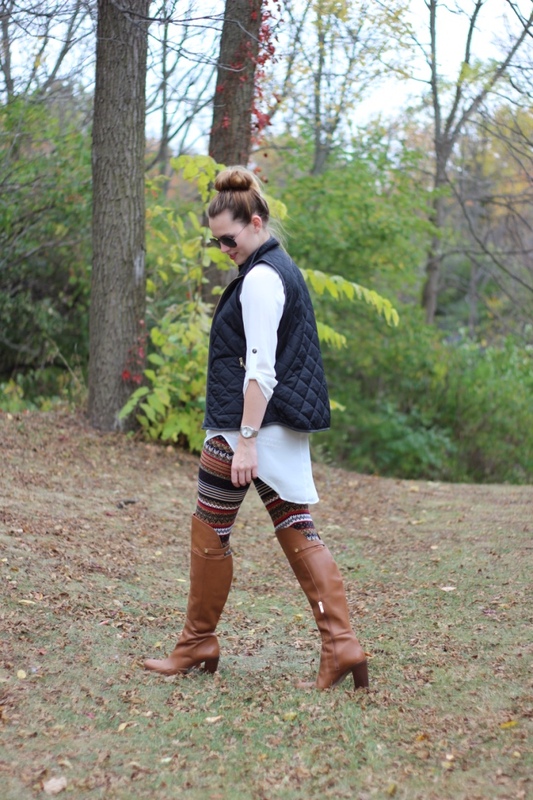 Did you catch yesterdays post talking all about OTK boots? Well I mentioned how I was waiting for this pair to arrive and just couldn't wait to wear them! 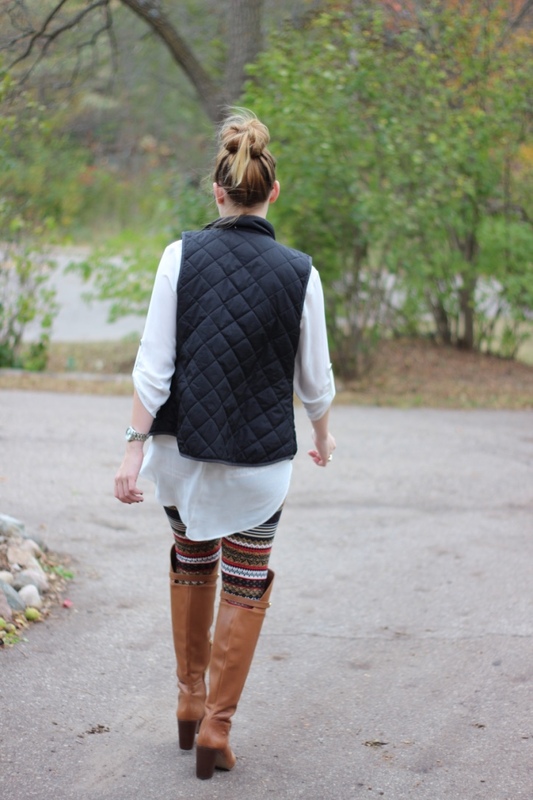 I love the way OTK boots look with legging. 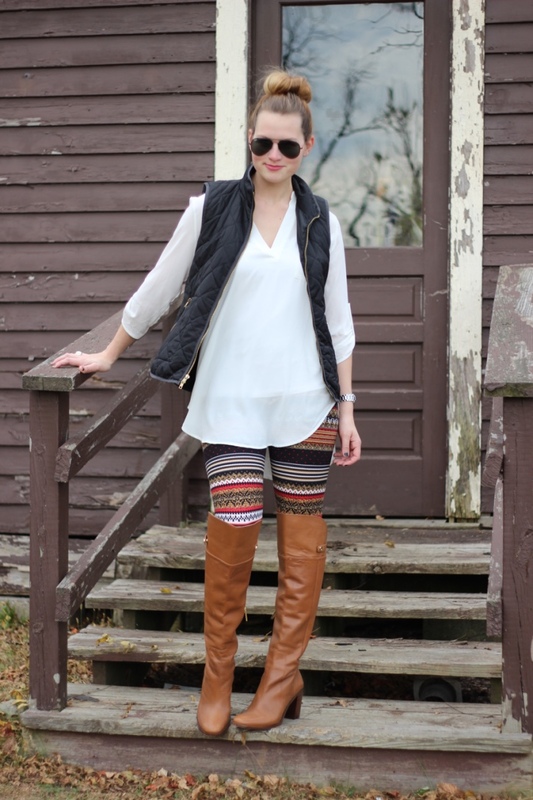 This fun pair is from White Plum, which offers a huge selection of different leggings in many colors and patterns. They actually have a leggings guide to help you find the perfect pair, or just give you some outfit ideas. 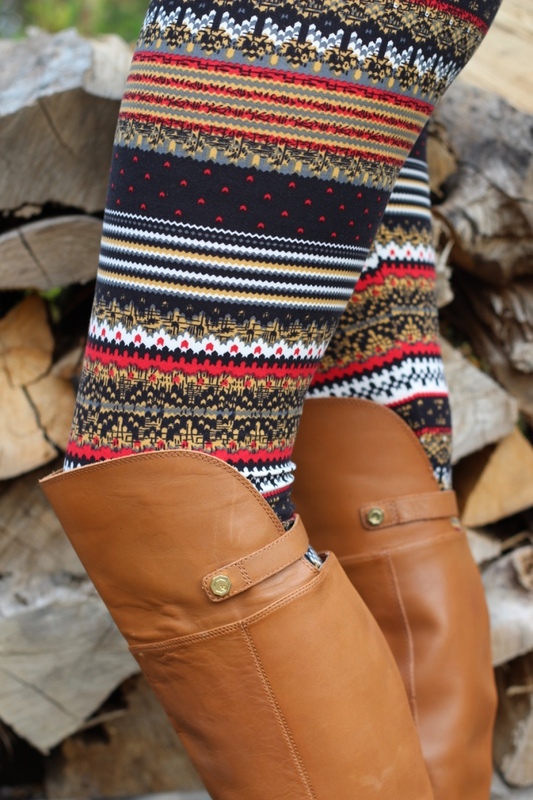 I love they fact that you can search different leggings for each season. Now leggings are meant to be comfortable, but I have found some that just won't hold their shape or are see through (ugh I hate that! ), this pair are a super soft material as well as a perfect stretch! They hold their shape all day long! I think I will get the simple black pair for everyday wear! Use the code 'BB20' for 20% off your entire purchase at White Plum until October 26th.